Since his breakout role in 1987’s Empire of the Sun, Christian Bale have proven his acting chops and willingness to transform himself, especially physically, for any job. Now, though, it looks like Bale may be putting the breaks on full physical transformation. The actor just pulled out of a plum role because of it. A report from Deadline is saying that Christian Bale has severed his commitment to the biopic Enzo Ferrari. The actor would have had to gain weight to play the title role. Enzo Ferrari was due to start shooting in the spring, and Bale pulled out over health concerns that he wouldn’t be able to safely gain the amount of weight required to begin filming as scheduled. Director Michael Mann has been working on bringing the project to the big screen for quite a while, so the loss of star Christian Bale at this late date must be a blow for the filmmaker. The movie is still on track, though, with Mann scrambling to find another big name talent to fill Bale’s not-so-plump shoes. The prestige of the project is likely to lend itself to some other major actors stepping up to the plate for the possibility of the role. 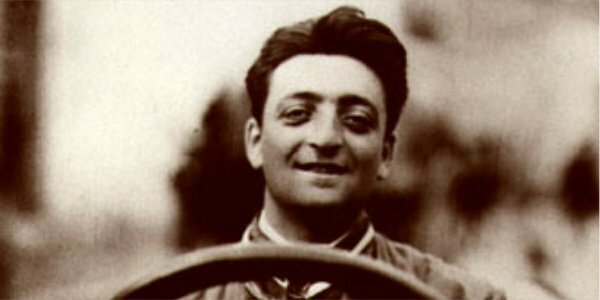 The role of Enzo Ferrari (pictured above, courtesy of Wikipedia) certainly sounds like something Christian Bale would be able to sink his teeth into (pun intended). The movie is being based on the 1991 Brock Yates book Enzo Ferrari, The Man, The Cars, The Races. The story of the film will center on a year in his life, 1957, when a series of personal and professional dilemmas hit the Italian auto titan at once. Christian Bale has never been afraid to do whatever is necessary to fully inhabit a character. And, the actor has already had some memorable screen roles that required him to drop or add pounds to his usually moderate frame. For the psychological thriller The Machinist in 2004, Bale lost a whopping 63 pounds that left him skeletal and, frankly, scary looking. But, as the weight loss worked for the role, he jumped in with both feet to make it happen. Bale also lost 55 pounds for Rescue Dawn in 2006, and he also lost an impressive amount of weight for The Fighter in 2010. While those films had a more independent spirit, Christian Bale has also packed on pounds of muscle for blockbusters; he got ripped for Christopher Nolan’s Batman trilogy. Bale also packed on pounds of non-muscle and allowed his full head of hair to be turned into an embarrassing comb-over for 2013’s American Hustle. While it’s certainly disappointing that Christian Bale won’t be filling the girth of the eponymous role in Enzo Ferrari, there’s no doubt that finding his next part will be as easy as it would have been difficult to gain Enzo’s weight. And, we can’t help but want to see what he does next.